Making sure you have the skills, resilience, friends, and advisors on your side to reach beyond any obstacle. As exciting as starting college is, it can pose challenges for even the best-prepared students. 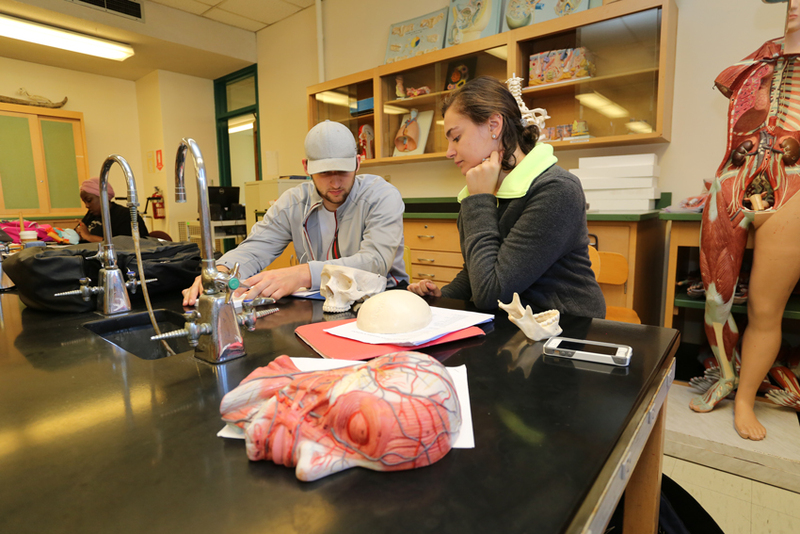 The Freshman Year Experience component of our university core includes a carefully structured set of experiences and academic courses specifically designed to help you get off to a strong start at Mercyhurst. Through your Freshman Year Experience, you’ll get to know the history and traditions of Mercyhurst, learn a few new skills and strategies for academic success, familiarize yourself with campus wellness and support resources, establish friendships with your classmates, and form mentoring relationships with faculty and advisors on campus. At Mercyhurst, the moment you pass through our gates as a freshman, you’re an integral, valued part of our campus community. During Welcome Week before the start of your first semester, you’ll meet your iMU classmates and your Laker Leader, a current Mercyhurst student. These fellow Lakers will be your core group for most Welcome Week activities and for your iMU 101: Introduction to Mercyhurst class during the first Mini of the Fall Semester. iMU 101 is a one-credit course designed with you in mind, and it will teach you about skills and resources that can help you be a successful college student. In addition to your Laker Leader, your iMU course facilitator will serve as a mentor to guide you through the first eight weeks of your freshman year. Help students consider and define their values, goals, and personal identity while acquiring an understanding of the university’s mission and values. Provide students with the tools and resources needed for success in their first year as they develop healthy relationships, communication skills, and overall wellness. Enable students to fulfill their personal and academic success as they explore their place in community, take steps toward success in their aspirations, and develop the ability to adapt and overcome in the face of challenge. By the Spring Semester of your first year, you’re already a seasoned college pro. iMU 102: Involvement at Mercyhurst takes a closer look at maximizing your student experience. This one-credit seminar course—most often held during the first Mini of Spring Semester—is designed to get you thinking about internships, research opportunities, study abroad, and other initiatives available to you at Mercyhurst. Perhaps no skill is more valuable throughout college and your professional life as the ability to develop sustained academic arguments supported with research. Required for all freshmen, this course fosters the development of these abilities early in your college career. The class emphasizes skills in reading, thinking critically, identifying research topics, gathering and assessing both print and electronic sources, and composing well-structured, focused arguments. What does a freshman schedule look like? Mini 1: Monday, Wednesday, Friday; 12–12:50 p.m.
Monday, Wednesday, Friday; 9–9:50 a.m.
Monday, Wednesday, Friday; 10–10:50 a.m.